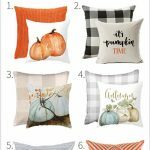 You are here: Home / Home Design / Seasonal Decor / Fall Decor You Need to Buy Now! 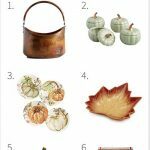 Fall Decor You Need to Buy Now! Yes! It’s Labor Day weekend and it’s time to hunt for fall decor. Last year I waited until October to buy and guess what? It’s all gone. 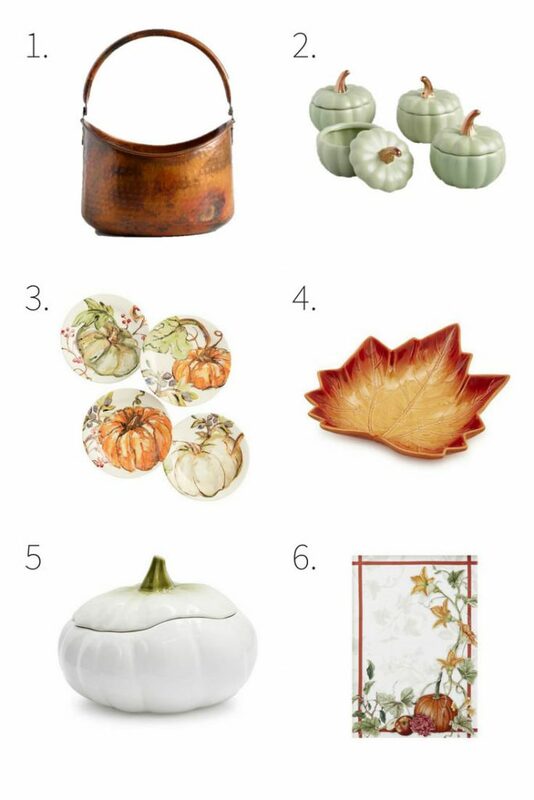 Here is your guide to what to buy now to get the cutest fall decor deals at the best prices. Just think about it – what is SO fun about decorating for fall is you can put it out in September and leave it up until you change out for Christmas! If you missed it, I have tutorial on how to make the white pumpkin with leaves CLICK HERE! As a woman who likes to maximize her dollars, it makes sense to me to bring in fall as early as possible. Soon I’ll be sharing my home’s fall decor, a fall porch makeover, and even a creative Halloween project. In the meantime, I’ll share the pretty products I’ve found so far! Please don’t cry if they are already out of stock. I’m telling you this stuff goes really fast…many items I’ve already purchased in preparation for fall decorating 🙂 Want to see my fall decor this year? Click here for my fall home tour with 5 other bloggers! Here are some cute pattern and printed pillow combinations for you to try in your home! These can be interchanged mixed and matched depending on your home’s style. Guess what? ALL options are under $10! There are traditional color combinations and more subtle options too! Can you guess which pillow covers I’ve purchased for my home? Most likely at some point you will be entertaining this fall. So why not pick up a few fun entertaining pieces? These can be used with your regular dinnerware to spruce up your fall table! Plus when you buy classics they can be used in new ways year after year. It wouldn’t be fall without pumpkins! 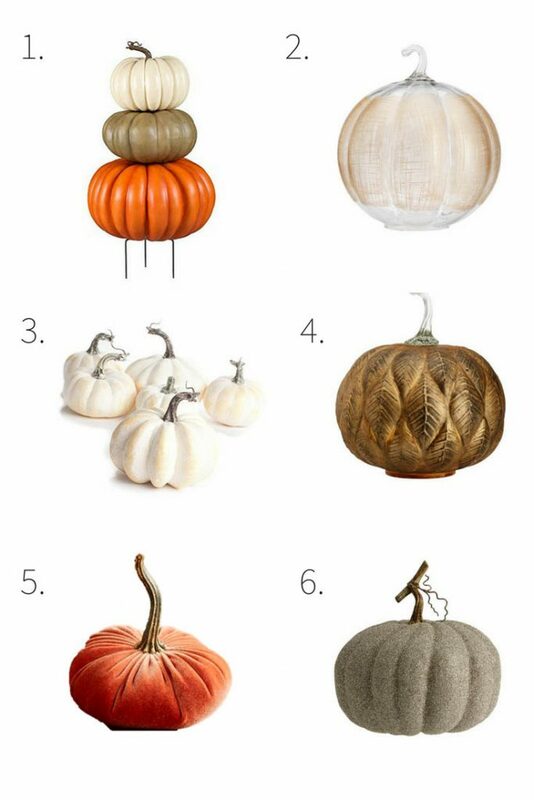 Check out your local Hobby Lobby, Michael’s and Home Goods for even more pumpkin ideas. For my online shopping friends, I found some great finds that you can buy while in your pajamas – that’s how I like to shop! I also found there is a woman selling affordable velvet pumpkins on Amazon! Some of these pumpkins are a little pricey, but all I can say is I am not interested in trying to figure out how to find big pumpkins and artfully stack them – just sayin’. Don’t feel like making over your whole house? 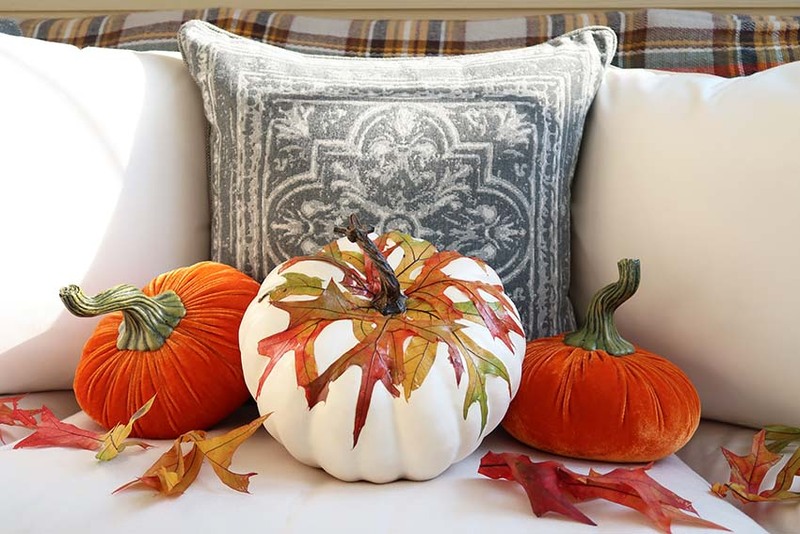 There are other simple ways to bring fall into your home without completely redecorating! 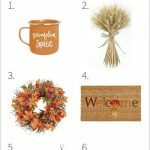 I’m loving the fall welcome mat and the pumpkin spice mug. If you didn’t know about my love for a PSL (pumpkin spice latte), read this post for fun later on. 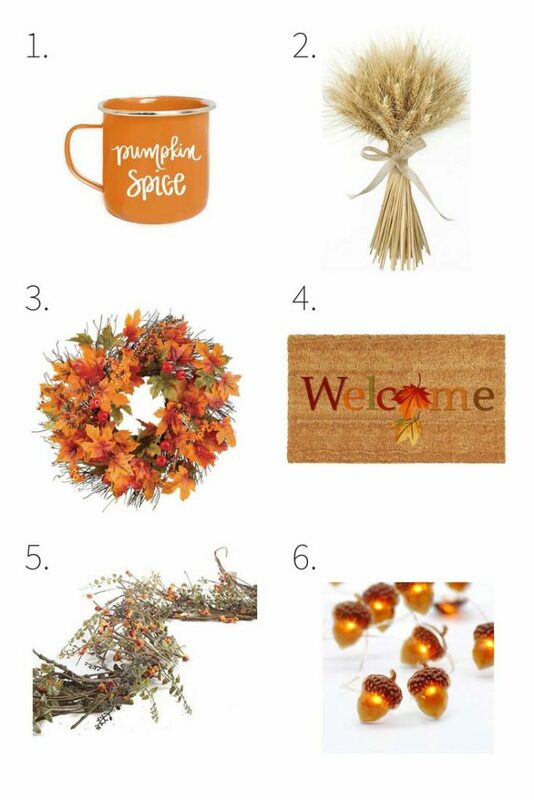 In big ways or small ways you can add a touch of fall to your home decor! 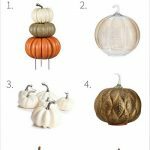 Now that you have lots of product ideas to mull over hop on over to my post all about ways to bring sophistication to your fall decor. It’s filled with beautiful pictures and lots of inspired design. 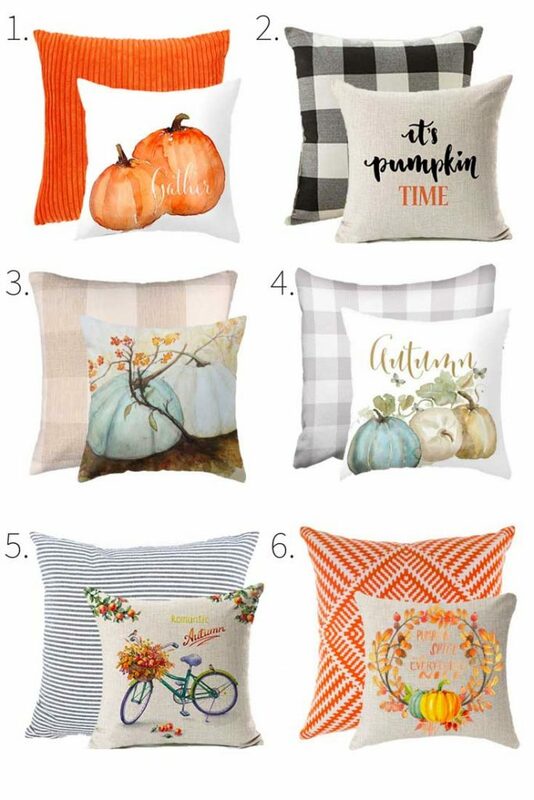 I’ll be using some of the concepts in my fall home decor this year too! At the end of September, I’ll be joining some other blogger friends and we will be sharing our fall home tours. 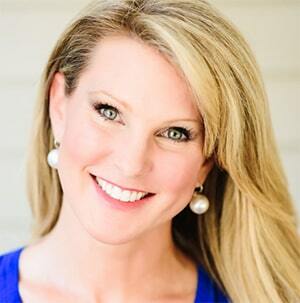 Please consider signing up for my weekly newsletter so you don’t miss that post! 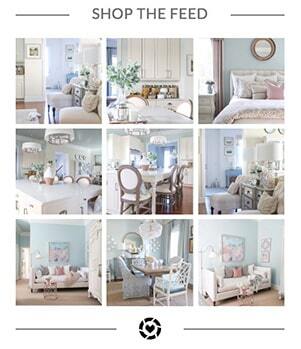 « End of Summer Home Tour with PAINT COLORS! Such fun finds for fall! Thanks, Jessica! I’m having fun changing over to fall in little ways.